KHD Valves Automation Pvt Ltd is a High Quality Y Type Flush Bottom Valves Manufacturer in Mumbai, Maharashtra, India. We are a leading manufacturer of Y Type Flush Bottom Valves in Mumbai and nearby areas. Our Y Type Flush Bottom Valves are manufactured according to International ASTM ANSI Standards, ASTM API Standards, ASTM DIN Standards in India. Mail us for Easy and Quick Quotes at Factory Prices. Y Type Flush Bottom Valves:- What are Y Type Flush Bottom valves? Characteristics: Compact Design, Bolted or Threaded Cover, Perforated or Mesh Lined Stainless Steel Screens, Suitable for Liquid, Gas or Steam. KHD Valves Automation Pvt Ltd is India's best Y Type Flush Bottom Valves manufucturer. 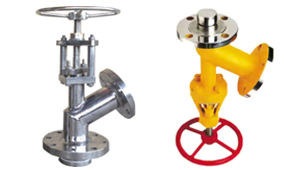 High Quality Y Type Flush Bottom Valves Manufacturer in India. We are certified Y Type Flush Bottom Valves Manufacturer in India. The Valves are designed to open directly in the tank, reactor for 100% Flushing or discharging the material.Easy Operation even under high pressures. Full circular passages.Easily replaceable PTFE seats & Packing.The design is featured with inclined bonnet which allows the automation OR manual operation to be free from fouling with the reactor disc end. Protection of heat exchanger and refrigerating set. Instrumentation and ancillary piping item protection. KHD Valves Automation Pvt Ltd's “Y” TYPE Flush bottom valves are used to discharge Liquids &Slurry from the bottom of Reactors, Receivers & huge Tanks. “IVE” Flush Bottom valves are available in design of Disc opening into the Tank ( vessel opening design) & Disc lowering (inside valve opening design) into the valve body. 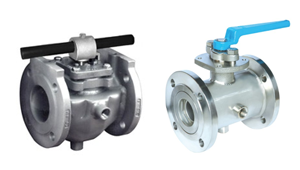 KHD Valves Automation Pvt Ltd are suppliers, dealers, exporters and manufacturers of BY Type Flush Bottom Valves in India. Our high-grade range of Y Type Flush Bottom Valves are perfectly . These are designed and developed in accordance with the international quality standards. Y Type Flush Bottom Valves that are precisely engineered using the prime quality raw material. We offer customized Y Type Flush Bottom Valves as per the requirements of the clients. Best High Grade Y Type Flush Bottom Valves and other Valves with optimum quality availabe at KHD Valves Automation Pvt Ltd. The best in business and world Leading dealers of Valves. KHD Valves Automation Pvt Ltd is the best in business and world Leading dealers of Y Type Flush Bottom Valves. KHD Valves Automation Pvt Ltd Basket Type Strainer Valves offer all the proven design attributes of standard 2-way Valves and are available in a wide range.